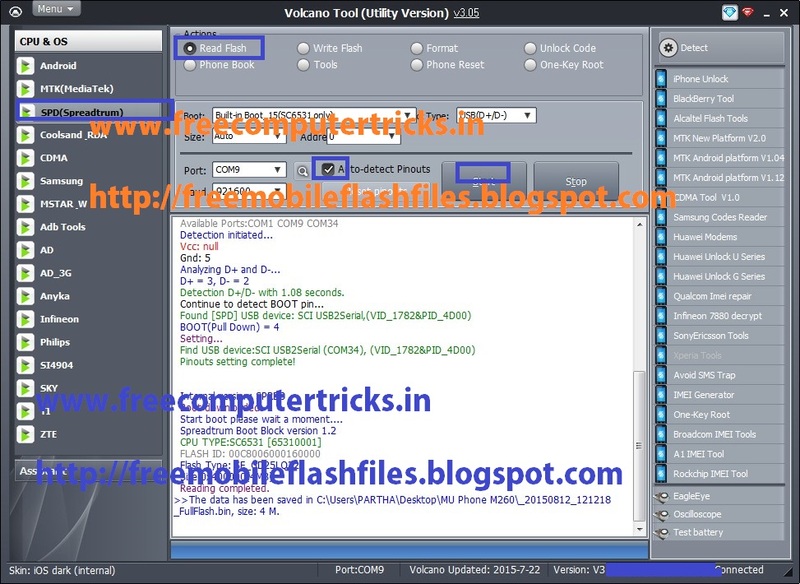 How to flash MU Phone M260 SC6531 CPU Mobile phone? 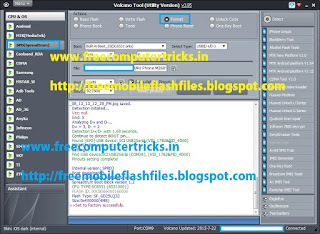 MU Phone M260 SPD SC6531 phone can format with Volcano tool, the phone has Spreadtrum SC6531 CPU and flash with any china flash tool supports SC6531 CPU. 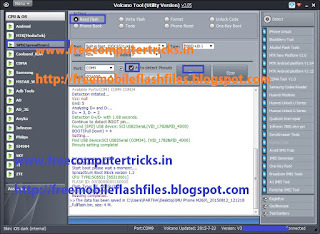 Here is the process to flash the phone using Volcano Utility, check the below process to flash the phone. 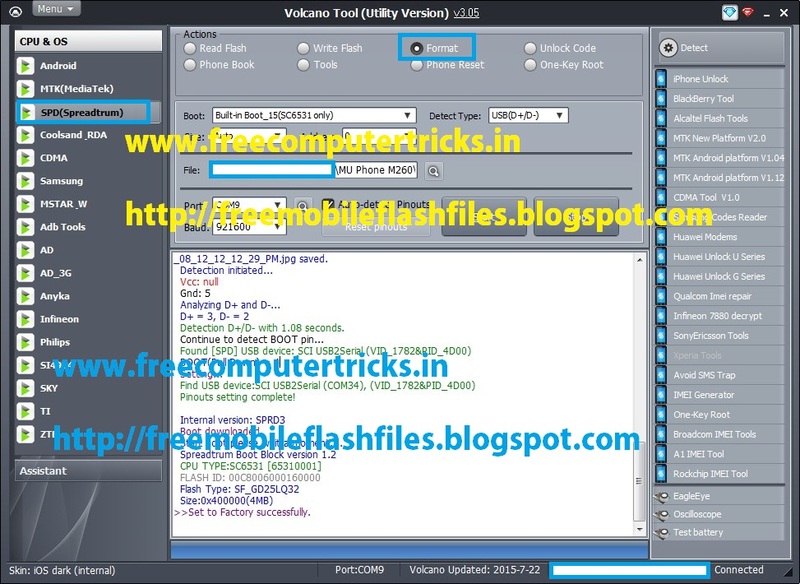 First back up the full flash file and then select the flash file and format the phone.